Three Texas exurbs are bound to see their population trends continue amid a national survey ranking them in the 10 fastest growing small cities in America. Beyond the suburbs but still within their respective metropolitan statistical areas, three Texas exurbs – Cibolo, Hutto and Prosper – have posted double-digit population growth rates since 2010, according to a new study from ZIPPIA. A combination of more affordable housing, performing public schools and a sustained willingness to make the commute into the urban center continues to demonstrate that the economics of urban sprawl are not a thing of the past. Ranking third in the national study, Cibolo lay 26 miles northeast of downtown San Antonio near Randolph Air Force Base. The 5.3 square mile town grew to 26,600 residents from the 2010 Census figure of 20,000. Retail, construction and public administration are primary career paths for locals. The rapid growth has presented a challenge, however, now that the Schertz-Cibolo-Universal City ISD’s enrollment has exceeded physical capacity, according to The San Antonio Express-News. Like many bedroom communities, the local school district is overly-reliant on its residential tax base. Scoring seventh, Austin area community Hutto enjoyed a 53 percent population growth since 2010 to nearly 23,000. Much like Cibolo, the dominant residential tax base had community leaders concerned that the overall growth of Williamson County of roughly 30 people per day would keep on par with Travis County, significantly straining local infrastructure and balances in workforce, according to the Hutto News in 2014. Placing eighth, the north Texas community of Prosper continues to live up to its name in terms of growth and real estate values. In recent years, municipal planners have worked to meet expectations of high quality infrastructure on modest budgets as transplants from neighboring Plano and Allen poured in, according to The Dallas Morning News. Compared to Hutto and Cibolo, Prosper’s median household income of $115,000 far outstrips the southern communities’ average $75,000 – leading to a localized boom in high-end residential real estate. In 2014 alone, more than 550 single-family homes were built at an average cost of $410,000. Young families and lower-income residents have a variety of options available to them in terms of housing in Hutto and Cibolo. While average new home construction in the communities ranged from $230,000 to $317,000, families earning less than $82,000 would find the majority of the housing market affordable with thousands of dollars left to spare each year, according to a cost of living calculator by FIXr. As Breitbart Texas previously reported, these smaller communities strike a contrast to Texas’ larger cities in terms of zoning code complexity, which wrangle compliance costs often found in new construction that would otherwise risk pricing lower income buyers out of the market almost entirely. The survey listed Zionsville, Indiana as the top scoring community in the nation in terms of growth. Towns in Georgia and Washington together occupied four positions on the top ten list as well. ZIPPIA built its list based on total population growth in American cities ranging in size from 5,000 to 100,000 residents. Figures were collected from the American Community Survey between 2010 and 2014 estimates (the latest uniformly available at the time of study). 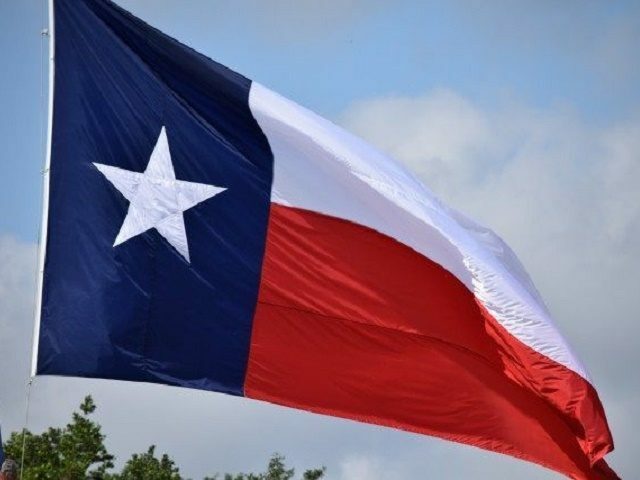 On a related matter, Breitbart Texas recently reported that Houston, Austin and San Antonio scored within the top five destinations for one-way U-HAUL rental agreements in 2015, according to the company’s review of 1.7 million transactions for that year. Community leaders in Hutto and Cibolo reported in years past that a considerable driver of their population growth was due to transplants not finding enough affordable housing in the major cities. Logan Churchwell is a founding member of the Breitbart Texas team. You can follow him on Twitter @LCChurchwell.